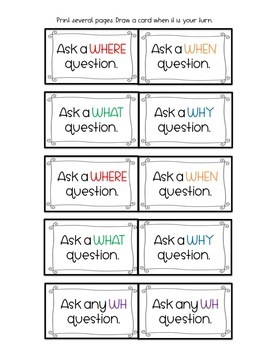 Use the task cards to teach WH ( What, Where, When) questions about a topic sentence that each child is saying in the picture. 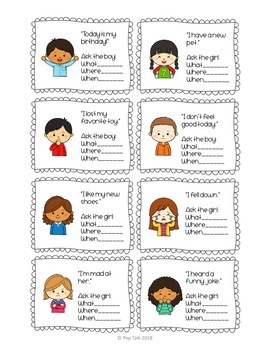 Send home a worksheet to practice identifying emotions and thinking of a question that is relevant to each emotion. 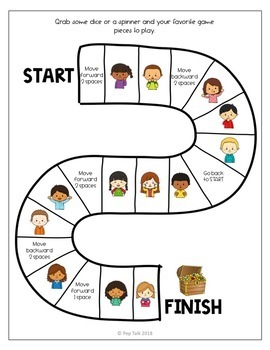 Play a game with a group or one on one. 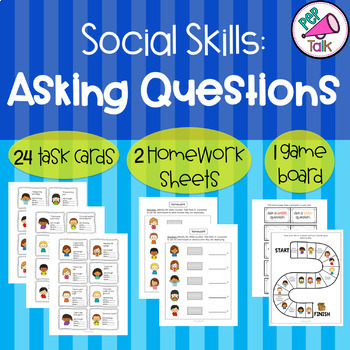 Grab some dice and some game pawns and start the game by asking a WH question every time you land on a kid.